It's going to be a sun-kissed long weekend in Sydney, the perfect weather to celebrate the four-day Sydney Architecture Festival. 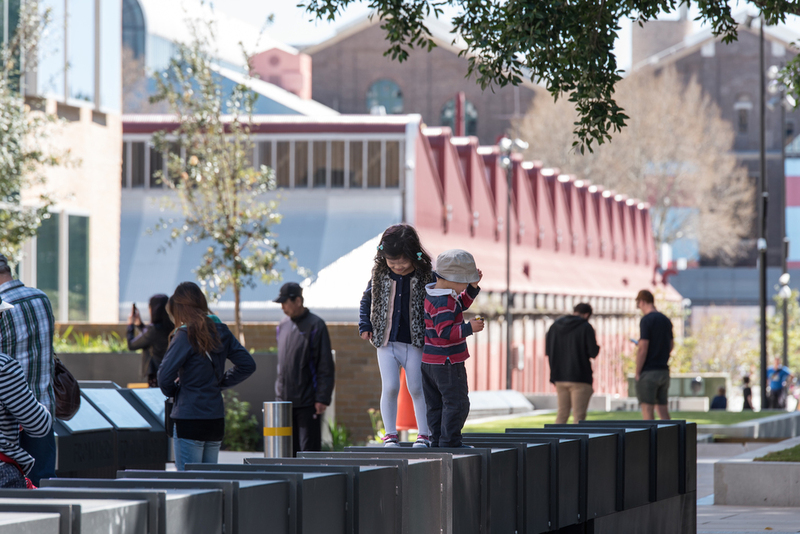 Running from Friday 2 until Monday 5 October, #SydArchFest will host a bunch of compelling events, talks and gatherings themed around the city's design priorities and dynamic architectural scene. Expect walks, music, films, food, children's activities and even yoga in the mix to ensure things don't get too beard-strokingly serious. We're particularly excited by Saturday's flagship day #TheGoods, hosted on and around newly opened public walkway/cycle path The Goods Line in Ultimo, designed by ASPECT Studios and CHROFI. Inspired by New York's popular aerial park The High Line, built on a historic freight track on Manhattan's West Side, The Goods Line is also set on a disused elevated former rail corridor, albeit a much shorter stretch. Wending its way from Railway Square 500 metres to the Powerhouse Museum, it's a short but sweet strip offering ringside views of the undulating brick Dr Chau Chak Wing Building for UTS Business School by Frank Gehry. 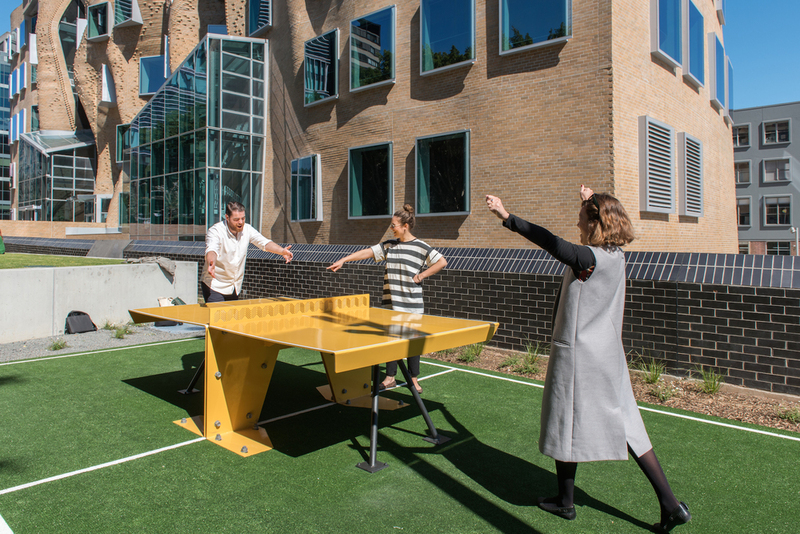 Along the way, you'll find bright yellow pingpong tables, benches and picnic tables, as well as planting and trees offering spots for relaxation, study, performance, pop-ups or play. 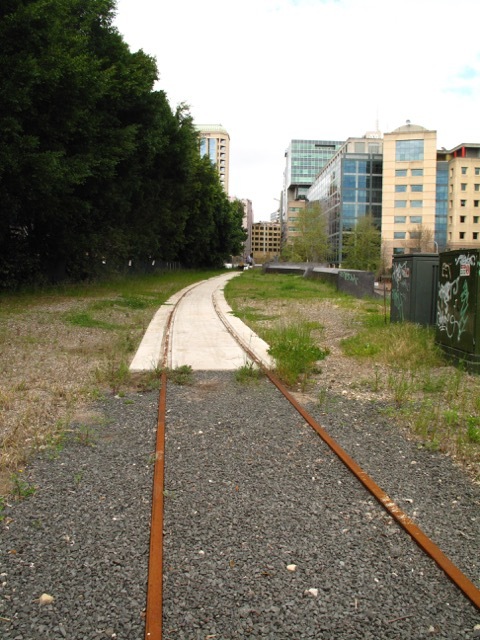 Already a hit with local students as well as workers at the nearby ABC, it acts as a green belt connecting Central Station and its Devonshire Tunnel with Chinatown and Darling Harbour in the city's most densely populated area. Two new cafés – MAAS Junction at the Powerhouse and 80 at Dr Chau Chak – ensure you won't go without a carb and caffeine hit. #TheGoods offers a full day's action, from morning yoga and tai chi on the Goods Green via drawing and photography classes to SAF short films and sundown drinks come evening. During the day you can also meet an architect, field questions to a landscape architect, or Walk the Line to learn about the walkway's history. Most events are free, but booking is essential for some, so check online. Next up is #NewCity on Sunday 4 October, which features three tours of architects' homes and fast-changing urban areas, hosted by Sydney Architecture Walks, including one exploring the Inner-City Suburbs of Chippendale, Ultimo, Redfern and Surry Hills. Monday 5 October wraps things up with #GoGlobal, starring TED-style talks at Sydney Opera House to mark World Architecture Day.